Woolly Mammoth 7, Fuzz pedal from Zvex. Massive sound hunters get ready, ZVex introduces the Woolly Mammoth 7, an expanded version of the brand's Woolly Mammoth fuzz box. 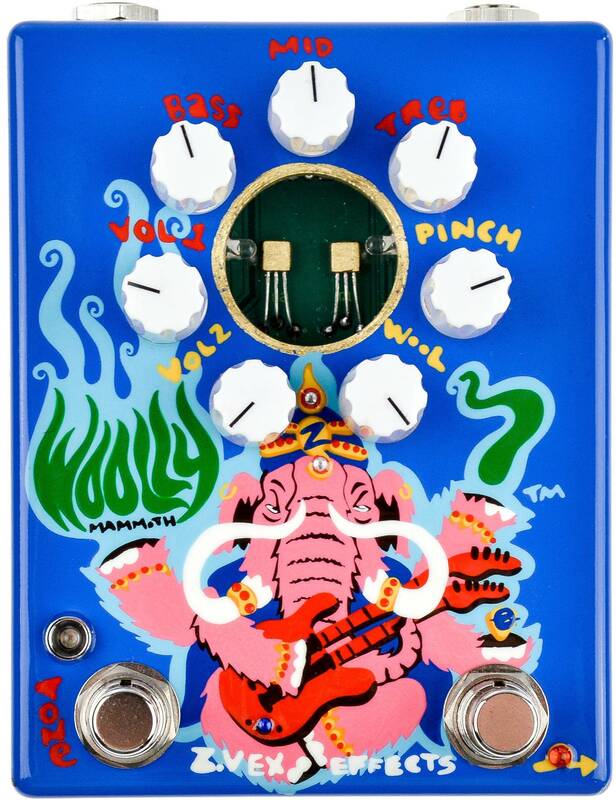 According to ZVex, the Woolly Mammoth 7 packs all of the subharmonic and fuzz sounds of the original Woolly Mammoth, but with added custom tweaks to make it even more versatile. These additional features include a Marshall-inspired tone stack with bass, mid and treble controls - a departure from the original Woolly Mammoth with its single tone knob. It also has a dedicated footswitch to turn the EQ on and off, and independent volume control knobs for EQ on (Vol 1) and EQ off (Vol 2). The WM7 fuzz without EQ is said to have its own unique voice, much different from the sound of a WM7 with tone stack or the single tone knob of the standard Woolly Mammoth, as the fuzz is more linear, with pronounced mid frequencies. ZVex has also included its Plexiglas window, "to see where the magic happens". 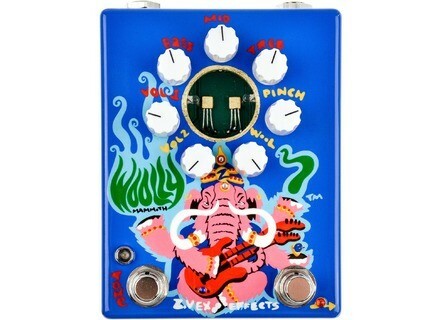 The Woolly Mammoth 7 can be ordered directly from ZVex's website for $499. IK Multimedia presentd iRig Acoustic IK Multimedia presents iRig Acoustic, the first acoustic guitar mobile microphone/interface specifically made for acoustic guitars and ukuleles. Fulltone Christmas Giveaway Fulltone is giving away one SSTE and three Full-Drive3 pedals on December 10th, 2015. Everything about guitar and bass pickups - Part 4 Up to now we have been talking about what's inside the pickups, but today we'll deal with the physical appearance.